WASHINGTON, DC, February 4, 2013 (ENS) – Mazda North America was honored with the inaugural 2013 Green Car Technology Award, as presented by “Green Car Journal” on Thursday at the Washington Auto Show. Mazda’s SKYACTIV®1 TECHNOLOGY was selected from a list of 10 top automotive technology finalists. The technology is aimed increasing overall vehicle efficiency, performance and fuel economy, while reducing CO2 emissions responsible for climate change. It uses advanced engineering and manufacturing processes to produce redesigned lightweight yet stronger components in the form of engine, transmission, body and chassis structures, Mazda says. The 2014 Mazda6 features a best-in-class highway fuel economy of 38 miles per gallon with its SKYACTIV-G 2.5-liter gasoline engine. Green Car Journal editor and publisher Ron Cogan said, “Optimizing the entire vehicle, from engine and transmission to chassis, body structure and all the components large and small that make up a modern vehicle is truly paramount. “This holistic philosophy epitomizes the ideal in delivering the enabling technologies so important to creating the efficient, fun-to-drive models required for a more environmentally compatible driving future,” Cogan said. Cogan said the new award honors advanced technologies, which are key to meeting the federally-mandated 54.5 mpg fleet-wide fuel economy by 2025 while decreasing petroleum use and CO2 emissions. 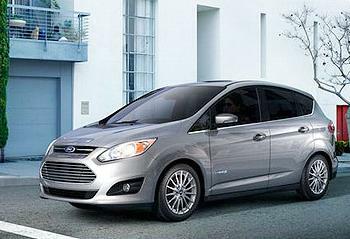 The Ford C-MAX Energi plug-in hybrid was named Green Car Journal’s 2012 Green Car Vision Award winner on January 26 at the Washington Auto Show. The plug-in model is built on the same global C-car platform as the Ford Focus and other Ford models to come. Ford’s first-ever plug-in hybrid vehicle, the C-MAX Energi uses the automaker’s powersplit hybrid architecture and advanced lithium-ion batteries to deliver all-electric driving plus the versatility of hybrid or internal combustion power. 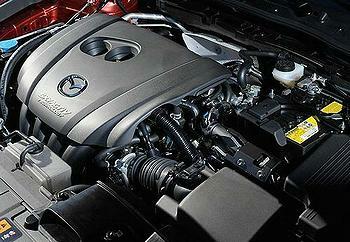 It offers high efficiency and a driving range greater than 500 miles. “Designing new cars from the ground-up to accept both internal combustion and alternative powerplants is an extremely important strategy,” said Cogan. To be considered for the Green Car Vision Award, vehicles must be on their way toward commercialization but not yet on sale, in small volume production with more than one functional prototype in existence, or operating as part of a demonstration fleet. Across the Atlantic in London, Ford’s long-term commitment to lowering carbon emissions has been recognized with an award from the Low Carbon Vehicle Partnership (LowCVP). The award commends Ford for outstanding achievement in low carbon transport over the last 10 years. Ford Chief Engineer Simon Palmer accepted the award at the 2012 awards at an event celebrating the LowCVP’s 10th Anniversary at the Institution of Mechanical Engineers in London. The annual LowCVP awards are designed to identify and promote examples of outstanding and innovative practice in the shift to low carbon vehicles and fuels in the UK and so stimulate opportunities for UK businesses.